Birmingham Updates have included MADE Festival in their Top 5 things to do the summer. It happens on Saturday July 29th and this year is in the new location of Perry Park, Church Road, with over 100 DJs and live acts, six arenas, world class street food, live art and funfair attractions. DJ Q, Holy Goof, Detlef b2b Latmun, Camelphat and many more are all set to play this year. 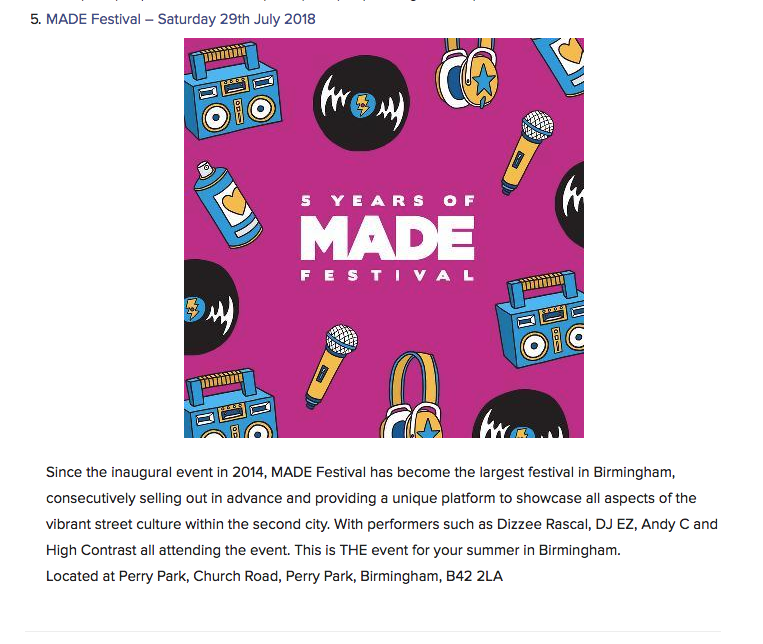 Find out more about MADE Festival on their client page.